Have you ever heard somebody use the phrase “get this” in conversation when they tell a story in English? Do you wonder what this means or why somebody would use it? Have you ever really wanted to get a reaction from somebody in a conversation? A phrase like this or others like it can almost demand a reaction, and therefore they work quite well. 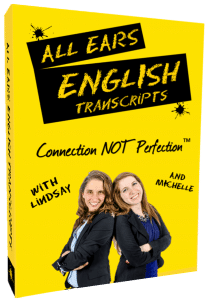 We’re going to show you how a phrase like this works and how you can use it in conversation in English to show more confidence and to get more people to listen to you. I have heard my friends say “get this” before they talk about something. It may be them talking about something that happened to them at work or something during their day. Maybe you can make an episode about this phrase. Thank you so much for the greatest podcast ever! This question is great because it brings up something that we hear in conversation all the time. What it is it about this phrase that is so effective? In essence, this is all about storytelling in English! This phrase offers a great way to introduce what you are going to say–but it can’t be something boring. You would use the phrase “get this” to introduce something really exciting or out of the ordinary. You might use it to say something like you met Lady Gaga or something really fun, interesting, or unique. This is a phrase that will help to draw attention and get a reaction, so it can work quite well for that purpose. Using the phrase “get this” is all about connecting with people. You could just say the story without the introduction, but that wouldn’t be nearly as fun and people may miss what you are actually trying to say. Using this phrase is actually a great signal to listen. It gets people ready to listen and to focus in on what you are going to say. It commands attention. So what is the “this”and what type of role does it play? It’s the story–it’s the surprising part. That’s why this one word plays such an important role in helping to get a reaction–it’s that important and that effective! We all want to have our voice heard and this is especially important when we are learning to connect in English. If we have an exciting or interesting story to tell, we want a reaction out of that. We want people to hear us and to recognize that there is value in what we are telling them. These phrases can be just as effective in capturing the attention of the listener. All of these phrases are bound to get a reaction and therefore work quite effectively when you are in that situation. 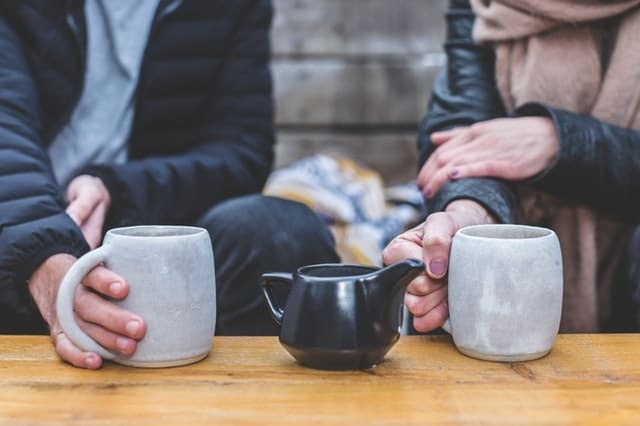 Be sure that you use the right tone of voice with them to make the perfect delivery—this is a great tactic for making connections through conversation! Sometimes we need a phrase to let people know what kind of story we are going to tell. We have to show them that we think it is a worthwhile story and that somehow they will get a reaction. Some type of reaction whether it’s to be surprised, laughing, or even showing disbelief. It’s important to send these signals, and the word “this” is a special one to use in different phrases in these situations. Try using it and see how it works for you in these conversations–it helps to show emphasis and also to help you with making connections in English.